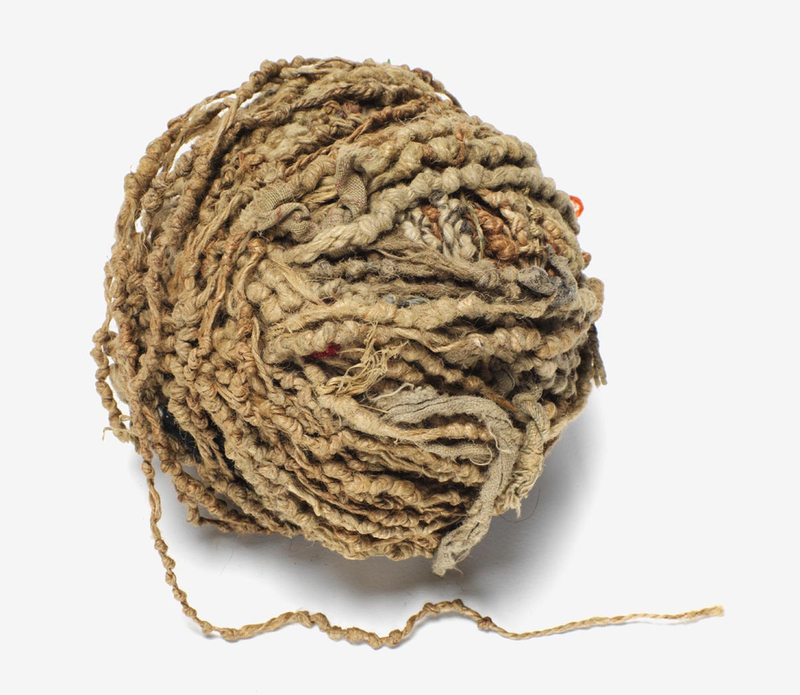 Women from the Yakama Native American tribe used strings of hemp as personal diaries. Each major event in their life was represented by a knot, a bead or a shell. This mnemonic device is called an Ititamat, or counting-the-days ball, or simply time ball. The first image shows an Ititamat created before 1920. On the second image, each string is a different Ititamat. The last image shows a 2003 replica. Also see our entry on Torres Strait Islanders tallies and on the Polynesian Genealogical Instrument. Helen H. Schuster (1990) The Yakima. pp. 33-35. Lone Grey Squirrel (2007) Time Ball. Marjanović D., Štorga M., Škec S., Bojčetić N., Pavković N. (2018) Data Objects: Design Principles for Data physicalization. First image from the Cooper Hewitt Smithsonian Design Museum. Second image from Schuster's book (ibid). p. 35. Third image from ideiasdefora.com. Artefact exhibited in the Smithsonian Museum of the American Indian, Washington D. C.